First in a new series that will offer the American Juke Box/Harlem Hit Parade/Race Record/Rhythm & Blues chart hits by a selection of the biggest stars of the 1940’s and 1950’s swing, jazz, jump blues and R&B scenes. Most of these performers have never had their biggest hits compiled in one place and for many years the likes of Count Basie and Duke Ellington were considered above the vulgarity of ‘hit records’ but these collections will feature all the 78’s they made that were money spinners on Jukeboxes across the world. 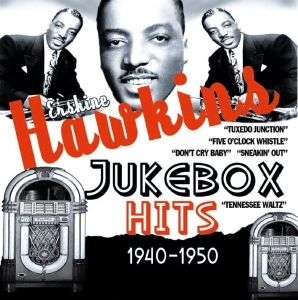 From Alabama, trumpet-player Hawkins, dubbed the “20th Century Gabriel”, is best-known as the composer of the classic “Tuxedo Junction”, which is of course featured on this package.